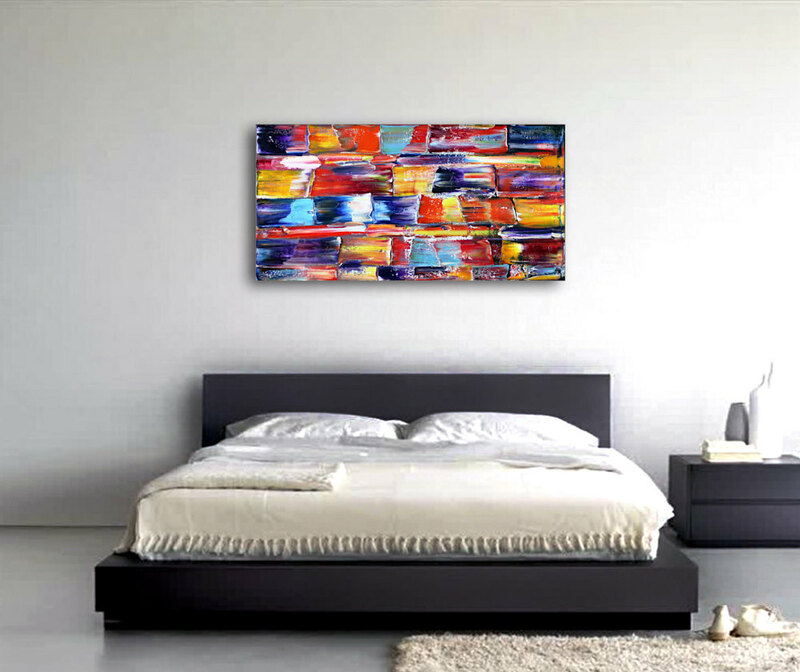 This is a completely unique and original PMS abstract oil painting on canvas. 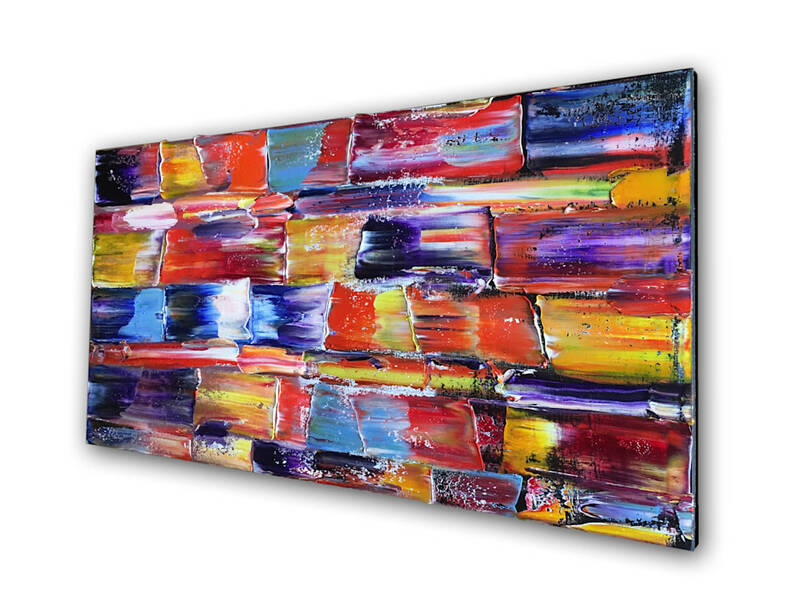 Perfect for your living room, or to fill any large wall in your office or home. 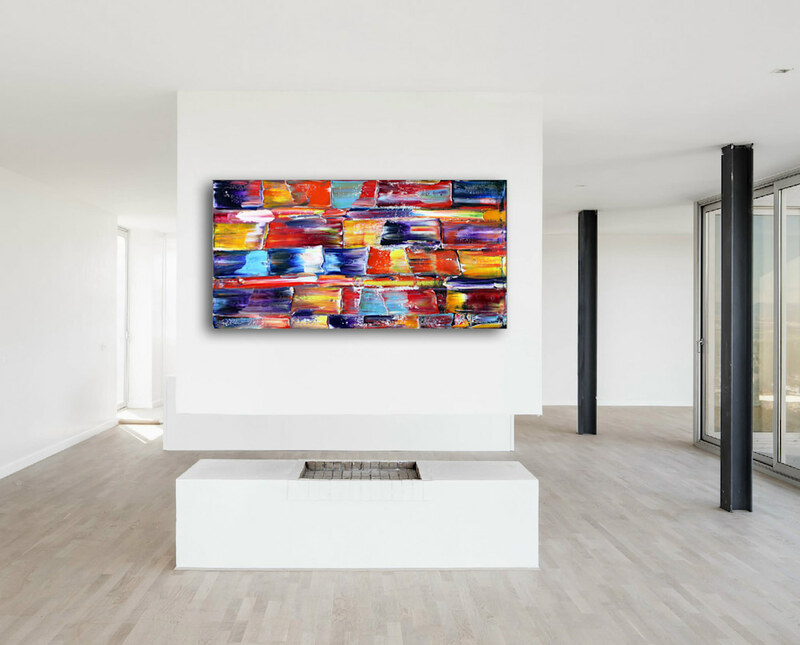 This painting epitomizes a technique and aesthetic I have been working to perfect over the years. 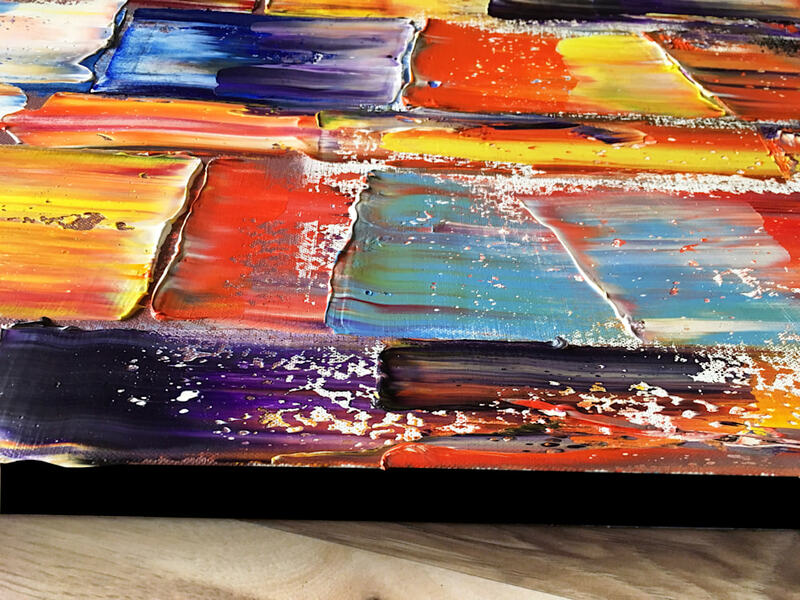 The colors are vibrant and alive and the texture is highly tactile and almost edible. 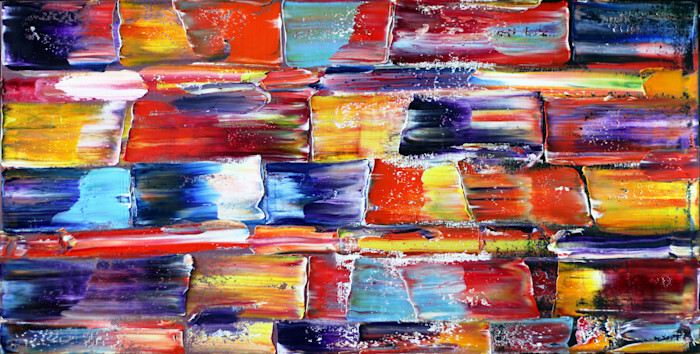 This piece is an exercise in an energetic harmony of color. 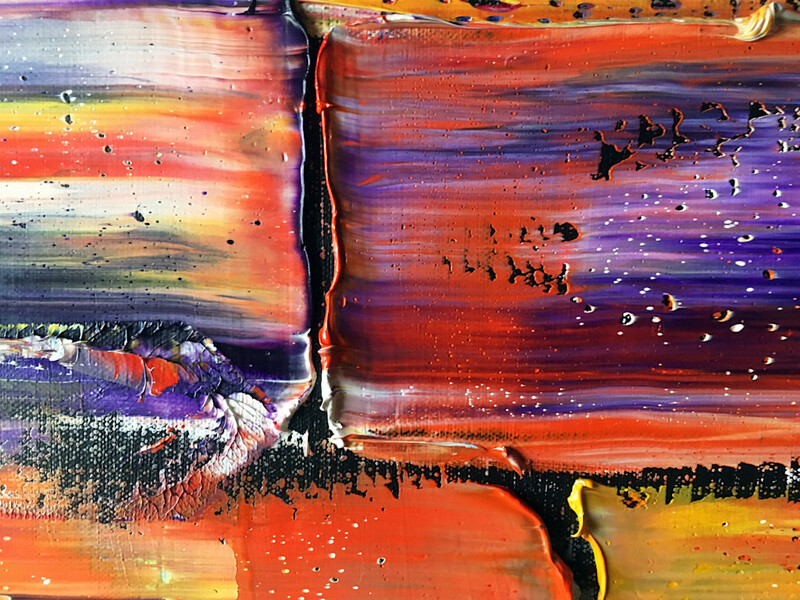 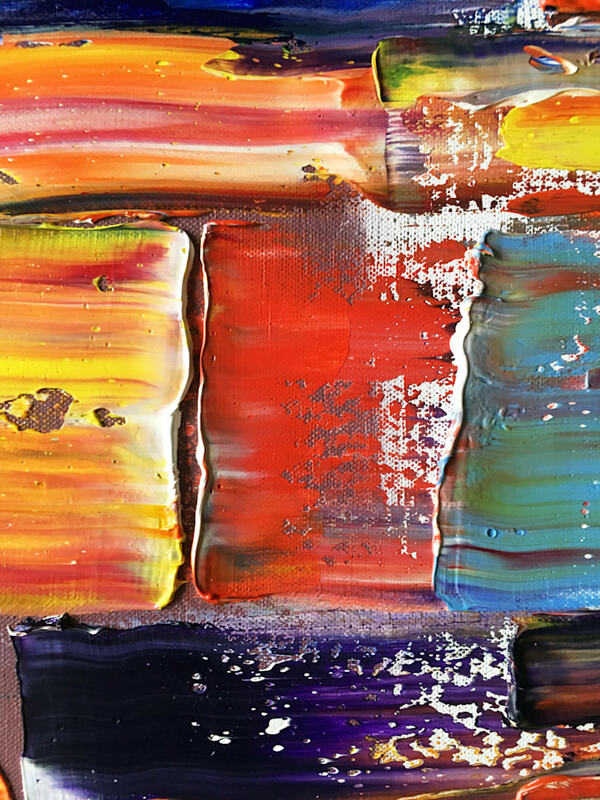 The colors streak and mix on the surface and appear to be streaming across the surface in brilliant overlapping and interacting color. 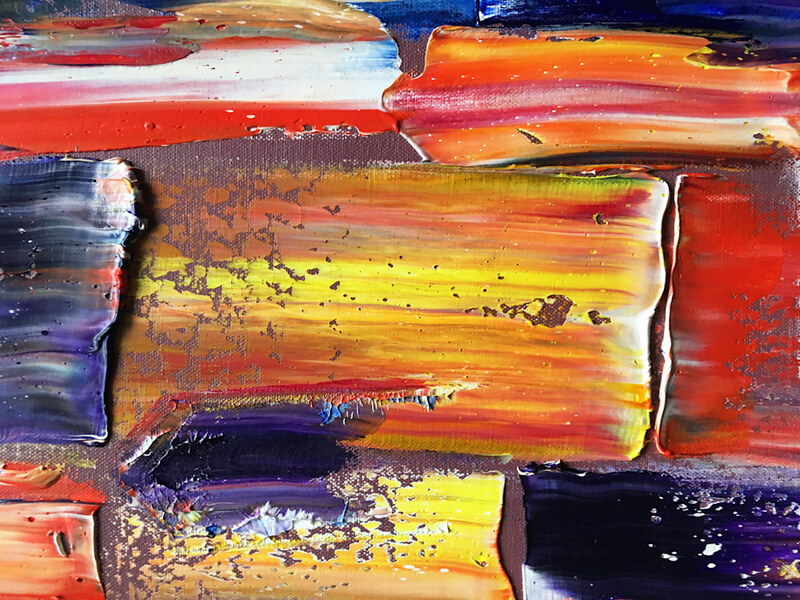 Heavy texture exists on the edges of the piece as well as bumps or waves of texture on the surface to give depth and intrigue to the piece. 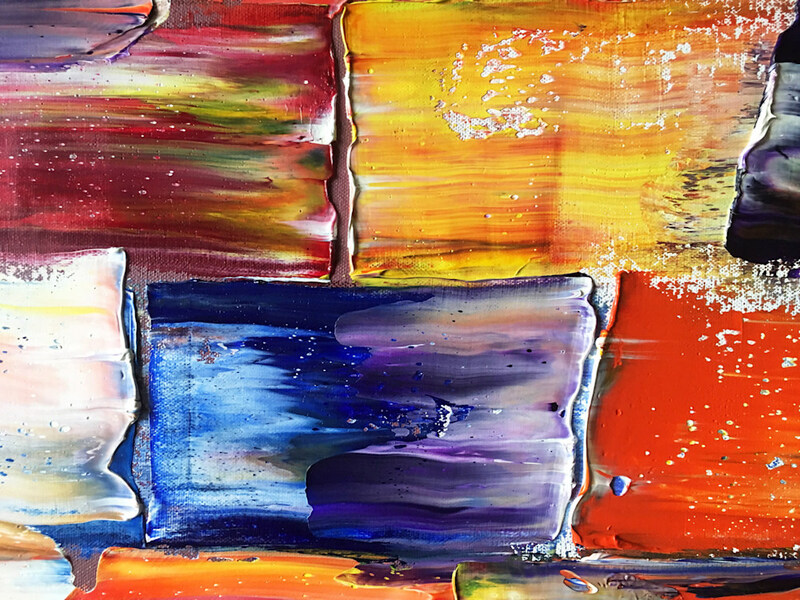 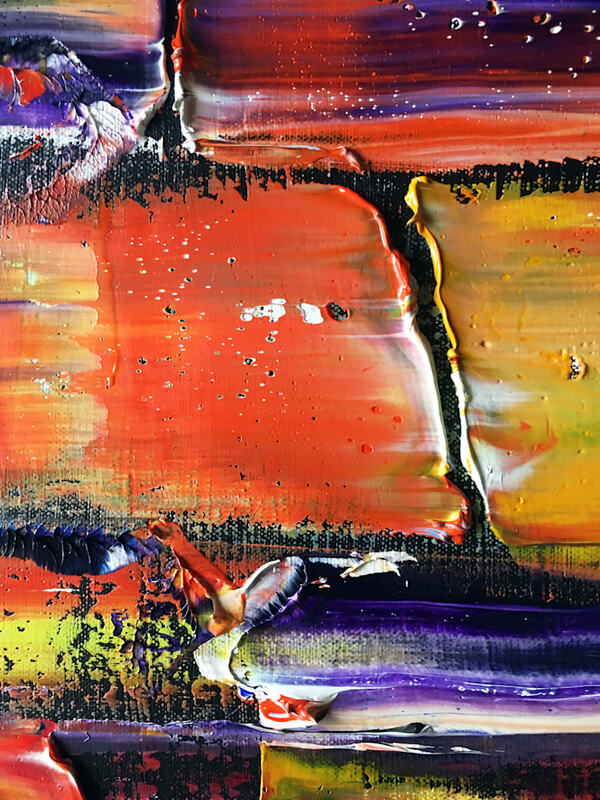 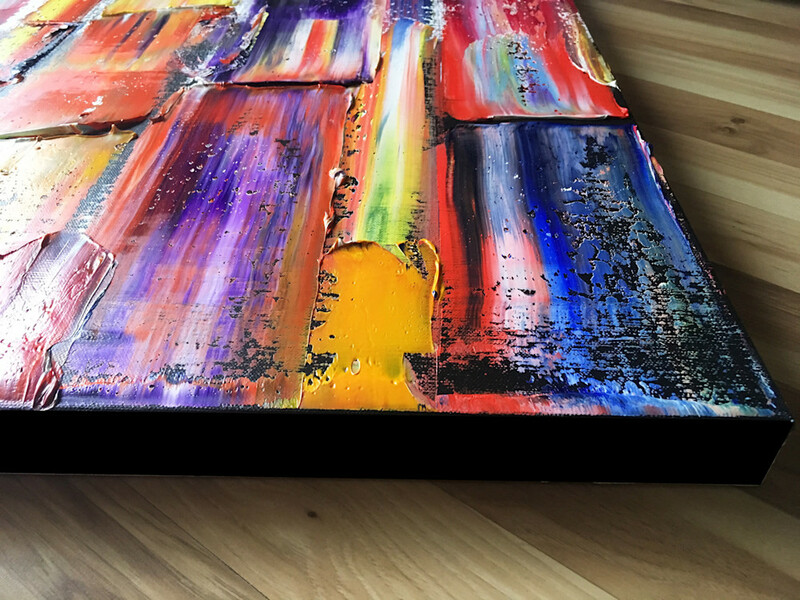 This piece gives a joyful feeling of freedom and positive energy and it is a wonderfully harmonic mess of colors, vibrancy and texture. 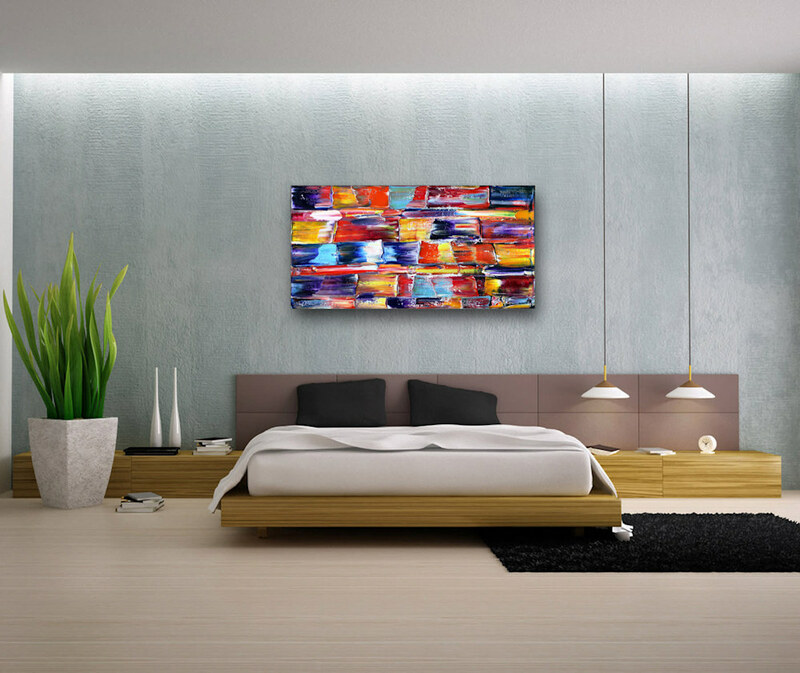 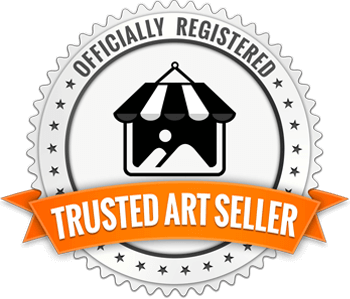 It is truly an original large oil painting like no other.